Notebook – loving this strawberry book, funny as I already had one! Washi tape – I realized I lost the only other one I had and need some for my up and coming letters going out! Cards – perfect for penpaling, will write on the back of these! 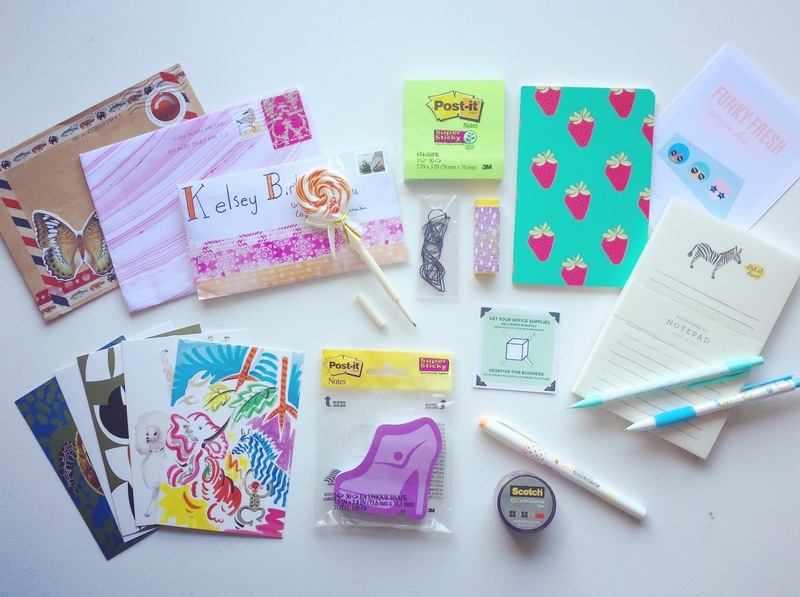 Pens, pencils and highlighter – that lollipop is a pen! Never knew until a second glance!